What a beautiful day it’s been! Feeling so blessed to have had the day I’ve had, answering so many beautiful emails from inspiring fans and internet service providers. 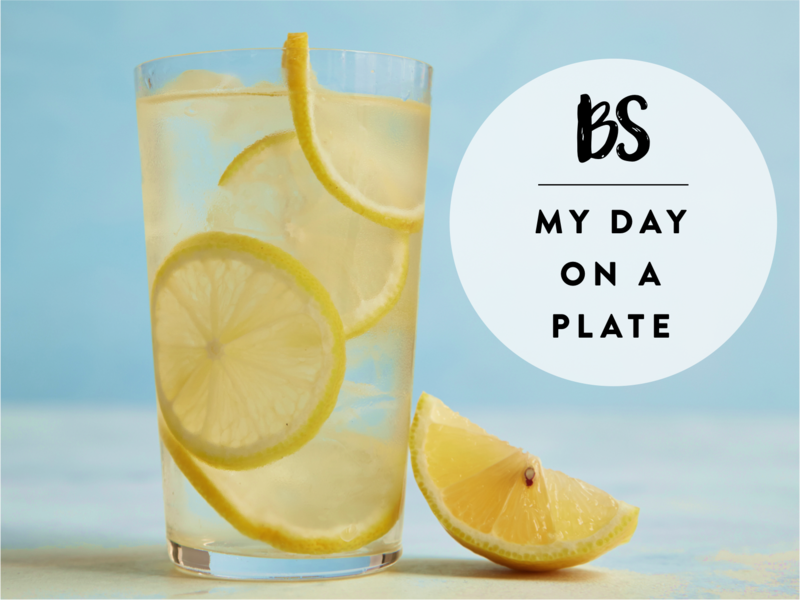 To make my warm water and lemon, add some lemon to some boiling water, then by the time you’ve taken a photo of it to blog and Instagram it’ll be ready to enjoy! 4.00 PM I was feeling full after my almond, so I only had a small salad of kale. 6.30 PM Oven baked atlantic salmon with seasonal vegetables, or whatever’s good this time of year. 8.30 PM Who doesn’t like something sweet for dessert?? Me. I had a stick of celery. Love this? Share it round! I give you mad kudos for going from 10am to 4pm without anything in between. But I guess you’ve adapted to your eating schedule! Im not sure if this is a joke blog or your being serious.. cabbage for breakfast? ?